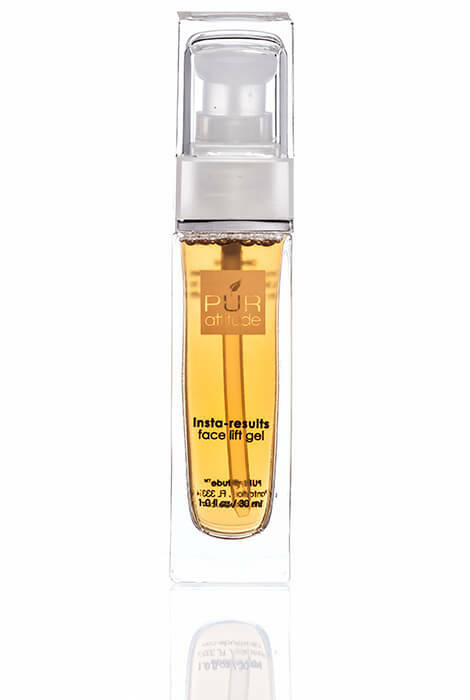 A safe and natural alternative to facial treatments like Botox and collagen injections, this PUR™ Insta-Results Face Lift Gel visibly erases the signs of aging in just seconds. 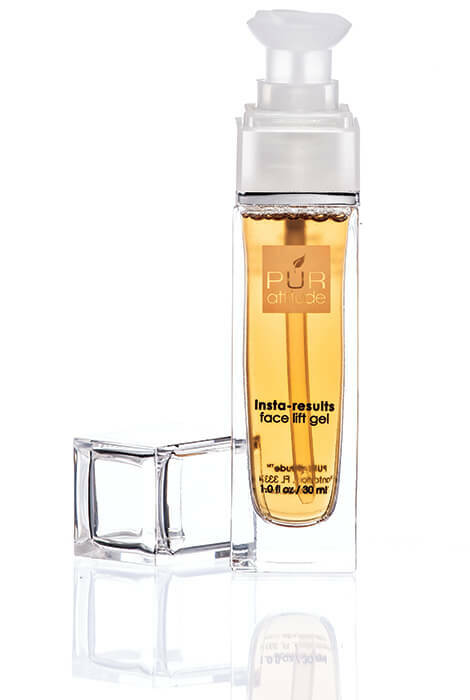 Formulated with apple-derived stem cell technology and hyaluronic spheres, the liquid facelift gel instantly plumps up wrinkles and firms the skin. The pharmaceutical-grade ingredients visibly reduce puffiness and erase fine lines, deep wrinkles, crow’s feet, smile lines and forehead furrows. Results last up to 12 hours, and with continued use, can last long-term. In a consumer study, 100% of participants experienced instant results and firmer looking skin, and 96% agreed they looked younger. To use, smooth a small amount on clean skin, targeting wrinkles and lines. To use, smooth a small amount on clean skin, targeting wrinkles and lines. It sounds like an option to a face lift. Instant or so it says. Good ingredients. I have deep wrinkles right in the middle of my forehead@ 69 yrs of age?Do you think this gel can help me? I am a fair complected African American woman.